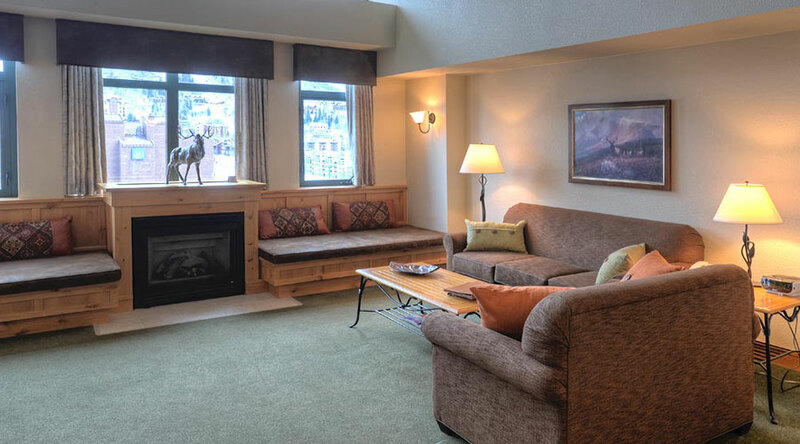 Have a separate bedroom with either a king or queen bed which adjoins to a fully-equipped kitchen, dining area, and living area with a queen size sofa sleeper, gas fireplace and one standard bath. They include a 42” flat screen television in the living with DVD player, 32” flat screen television in the bedroom, humidifiers, in-room safe, coffee makers, hair dryers, ironing boards and irons. Approximately 750 square feet. Recommended maximum occupancy is 4.